1. Layer carrots, bell pepper and onion in slow cooker. Top with chicken. 2. Drain pineapple, reserving juice. place pineapple chunks over chicken. 3. Mix together pineapple juice, brow sugar, soy sauce, bouillon, salt, ginger, and garlic power in a small bowl. pour over pineapple over pineapple chunks. 5. combine cornstarch and water in a small bowl, Gradually stir unto slow cooker. 6. Cover and cook 30 minutes more or until sauce thickens. 7. Serve or your favorite cooked rice. 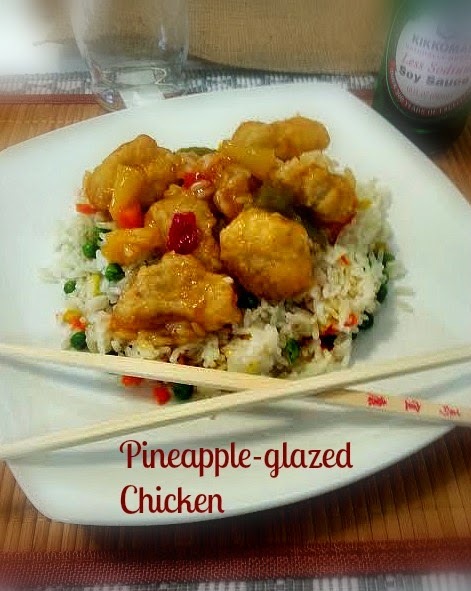 Your pineapple glazed chicken looks delicious. Thank you for sharing with the Clever Chicks Blog Hop! I hope you’ll join us again next week!